The best hobby greenhouse kits for sale !!! Creating a greenhouse from the ground up can be a lengthy process that really cuts into your growing time. This doesn’t have to be the case. When you rely on Gothic Arch Greenhouses to help speed along your project, you’ll get the perfect structure faster and for less. Our greenhouse kits for hobbyists present the perfect solutions for many specific requirements. Gothic Arch Greenhouses is the most trusted name in the greenhouse industry. Our family owned business has been serving horticulturists, hobbyists, commercial operations, schools and more since 1946. Our commitment to providing our customers access to the best greenhouses available for amazing price savings has simply made us to the go-to source for greenhouse supplies. We take a great deal of pride in serving our customers’ specific needs with a wide variety of greenhouse kits. We carry a handpicked selection of the finest hobby greenhouse kits for every price range and horticultural and architectural application. From a basic poly-film covered beginner hobby greenhouse to the finest quality glass greenhouses, our expert team will help you choose the perfect kit for your backyard or garden. Some of our higher-end hobby greenhouse kits are even ideal for retail, school and commercial projects. High-end – These greenhouses are among the best of the best. We offer a wide selection of styles, including traditional, solar and Pacific designs. You’ll also find that we can help with custom designs to suit very specific needs. In addition to our structures and supplies. Please browse our selection below and let us know if we can be of any assistance! Value – When you want a solid greenhouse that doesn’t cost a lot, these designs deliver. They are considered mid-range models. 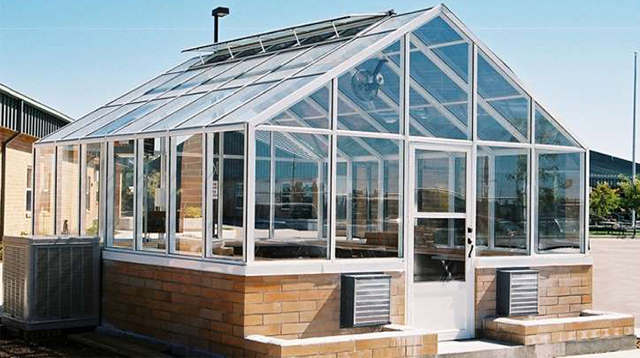 Each model in this category of greenhouse kits offers its own distinct advantages at pricing that are affordable. Economy – These greenhouse kits are highly affordable and easy to get up and running. They are designed to provide the ultimate in functionality in smaller spaces. When you want to explore greenhouse kits for a wide variety of uses, Gothic Arch is here to assist. Just take a look at our inventory of hobby greenhouses and see for yourself why we lead the industry. If you have any questions about our greenhouse supplies, contact us directly at 1-800-531-4769. Aluminum glazing bars suspended on a galvanized Steel. 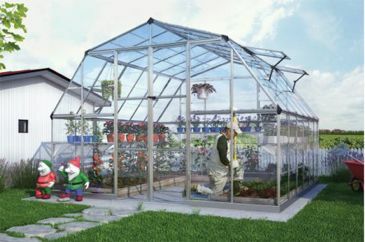 We are able to provide limitless options for our greenhouse designs.